President Donald Trump said in an interview with Axios on Monday that he plans to alter the birthright citizenship law, a law that states that anyone born on U.S. soil is automatically a citizen, for children of noncitizens born on U.S. soil. Six candidates — Ty Alper, Norma Harrison, Dru Howard, Abdur Sikder, Julie Sinai and Ka’Dijah Brown — will be vying for the three open board seats. UC Berkeley librarians, wearing blue tape on their mouths and shirts that read “librarians will not be silent,” met Friday on the steps of Doe Memorial Library for a protest regarding contract negotiations with the University of California that began April 16. Chelsea Yogerst started in September as the Title IX coordinator and compliance officer for the Berkeley Unified School District, or BUSD, succeeding Dana Clark. With a goal to prevent all unwanted pregnancies, campus alumna Sophia Yen co-founded an organization called Pandia Health, which aims to make access to birth control easier for those who need it. Four years ago, Yousef Moneer decided to leave his homeland of Yemen to live with his family in California and study at Fresno City College. Palm Açaí Café, an açaí bowl and smoothie store, opened Aug. 27 on College Avenue, replacing a storefront that had been empty for the past six years. 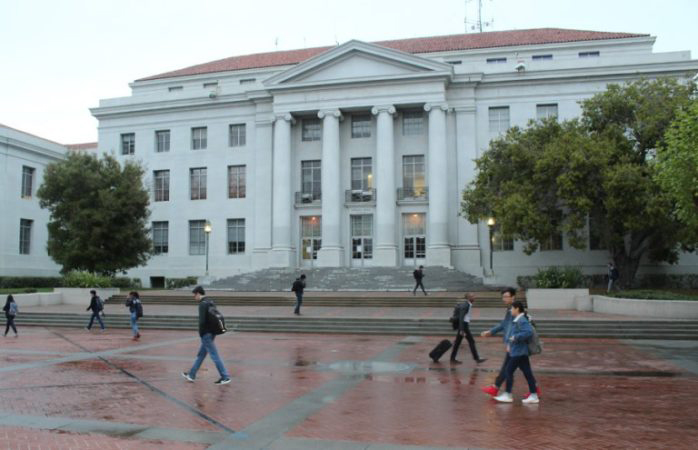 UC Berkeley students attended a Planning Commission meeting Wednesday night to voice their support for the More Student Housing Now Resolution, and a motion was passed unanimously to review the proposals outlined in the resolution.